Susan, Esther, and Daisy started at university and became fast friends. Now, away from home for the first time, the girls, along with their male hall-mates, Ed and McGraw, find that college is more than academia and bad microwavable meals. In the face of holiday balls, hometown rivals, “personal experimentation,” and regretful hookups, they may be lucky just to make it past their freshman year. 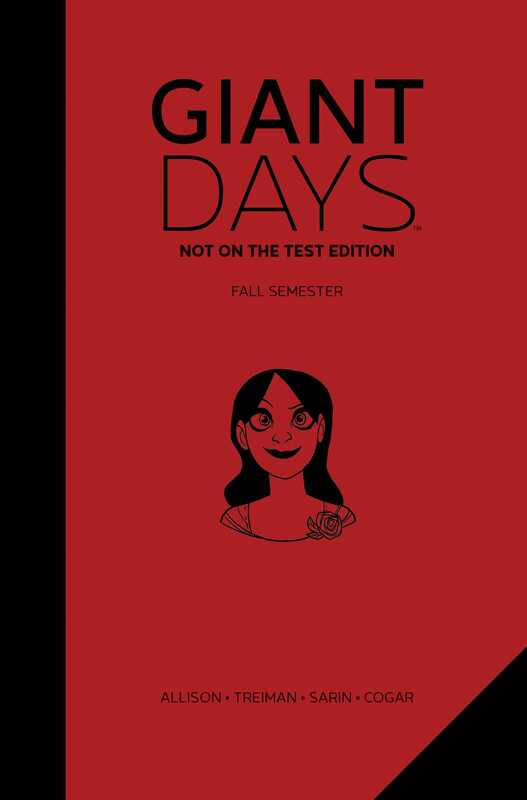 Giant Days: Not On The Test Edition, written by John Allison (Bad Machinery, Scary Go Round) and illustrated by Disney artist Lissa Treiman and newcomer Max Sarin collects the first two volumes of the Eisner Award and Harvey Award-nominated series as well as issue one of the original webcomic in a deluxe hardcover.